Level 30: Zen Sphere has been improved. Its detonation damage has increased by 97%, detonation healing has increased by 70%, but periodic healing has been reduced by 39%. Also fixed a bug that caused its damage and healing to vary based on specialization. Level 30: Chi Burst damage has been increased by 51%. Also fixed a bug that caused its damage and healing to vary based on specialization. Level 45: Ascension now increases Spirit by 10%, for faster mana regen, instead of increasing maximum mana by 20%. Level 90: Chi Torpedo damage has increased by 150% and healing has increased by 42%. Chi Explosion (Mistweaver) healing while in Stance of the Wise Serpent is increased by 40%, and is now usable while channeling Soothing Mist. Healing while in Stance of the Spirited Crane is reduced by 33.3%. PvP 2-piece set bonus for Windwalker Monks has been replaced by the PvP 4-piece set bonus. Touch of Karma‘s redirected damage can now exceed 50% of the Monk’s maximum health. PvP 4-piece set bonus for Windwalker Monks is now the PvP 2-piece set bonus. The Monk now receives a 2% reduction to damage taken for each stack of Tigereye Brewconsumed for 20 seconds. As you probably know by now, Hit & Expertise are dead in Warlords. In addition Reforging will be slain. Any pieces of gear with either stat will have those stats changes to something else. Any racials covering Hit or Expertise will also be changed. Agility no longer provides an increased chance to critically strike with any abilities. Ditto Intellect. Bliz feels that Agility classes should crit more often, so there is a new passive, named Critical Strikes, which increases chance to critically strike by 10%. It is learned by Brewmaster and Windwalker Monks, as well as the other Agility classes. Mistweavers will not get an increased chance to crit, and neither will other Int (or Str) based classes/specs. By the way, Reforging will be dead in Warlords. Blizzard likes the Active Mitigation model, feeling that it’s worked very well. As things progress they want to keep the amount of Dodge and Parry on tanks on the low side. They feel that a Dodge/Parry tanking model makes for too much “spike damage” and isn’t fun. So the Dodge and Parry gains from Strength and Agility are being reduced to help accomplish this. Additionally, items in Warlords of Draenor will not have Dodge or Parry on them as a stat. Some Dodge and Parry can still be gained through class-specific effects. The Devs have decided that one stat will be the ‘preferred” stat for all specs of any class. Exactly which stat that is will depend on which spec you are. The idea is to give you a guide as to where to focus any bonus stats from gear or effects. The Attuned stat gets an extra 5% from all sources. The idea is that there are too many abilities (and buttons) and that the various classes really need to be streamlined a bit. So Bliz took a look at the various abilities and is changing things to suit a more streamlined game. Some abilities are dead, some are restricted in some way, and there are the usual tweaks and pokes to other abilities. Resuscitate’s mana cost has been reduced by 80%. Spinning Crane Kick now always generates 1 Chi, and no longer reduces movement speed. Paralysis now always lasts 60 seconds against creatures, regardless of facing. Zen Meditation is no longer available to Mistweaver Monks, and no longer redirects harmful spells cast against party and raid members. Fists of Fury no longer stuns a target more than once per cast, but now deals 100% increased damage, and always deal full damage to the primary target with additional targets still being affected by the damage split. The talent Ring of Peace no longer Silences or Disarms enemies. It now incapacitates targets in the area for 3 seconds, or until the target takes damage. The ability now shares Diminishing Returns with all other Mesmerize effects. Spear Hand Strike no longer Silences the target if they’re facing the Monk. 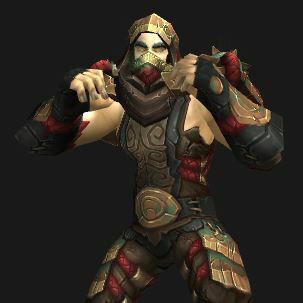 Stance of the Fierce Tiger no longer increases damage dealt, also includes the benefits of Combo Breaker and Combat Conditioning, and is replaced by another stance for Brewmaster and Mistweaver Monks. The damage increase provided by Tiger Stance has been removed and the damage of melee abilities increased to compensate. Touch of Death‘s “usability” has been improved. It can now be used on “tough creatures” (I read this as “bosses”) when they are below 10% health, dealing damage equal to the Monk’s maximum health to those creatures. The rules against players remain unchanged. Tiger Strikes has been buffed to grant Multistrike ability, which it was similar to already, and extended it to work with all Monk specializations. It has a chance to trigger on successful auto attacks and their Multistrikes. It has an 8% chance to trigger while using a two-handed weapon, and a 5% chance to trigger while dual wielding. When triggered, Tiger Strikes now grants a 25% increase to Multistrike for 8 seconds instead of a 50% increase to attack speed and double attacks for 4 attacks. Windwalker damage has been adjusted to compensate for these changes. Bliz’s goal is not to reduce DPS, but to balance things out and make the rotation a bit smoother. Stance of the Fierce Tiger now also increases Jab’s energy cost by 10. Clash has been removed, along with the glyph. Grapple Weapon has been removed. Spinning Fire Blossom has been removed. Swift Reflexes has been removed. Muscle Memory has been removed. Serpent’s Zeal has been removed. Healing Sphere has been removed, but abilities that can summon Healing Spheres, Mastery: Gift of the Serpent (Mistweavers), Gift of the Ox (Brewmasters), and Afterlife (Windwalkers) can still summon Healing Spheres. The active ability is replaced with Healing Surge for Windwalkers and Brewmasters. Vengeance has been removed and replaced with a new passive ability, Resolve: Increases your healing and absorption done to yourself, based on Stamina and damage taken (before avoidance and mitigation) in the last 10 seconds. Noe that there is no DPS increase involved, just survivability. Brewmaster Training has been removed. Its effects have been incorporated into Stance of the Sturdy Ox. Desperate Measures has been removed. Its effects have been incorporated into Stance of the Sturdy Ox. Glyph of Breath of Fire’s Disoriented effect now shares Diminishing Returns with all other Mesmerize effects. Black Ox Statue no longer casts Guard on allies and now has a 10-second cooldown (down from 30 seconds.) It now passively attracts the attention of all enemies within 30 yards, causing a minor amount of threat each second. Dizzying Haze no longer causes the target’s melee attacks to sometimes misfire and has no energy cost. Combo Breaker has been removed? Its effects have been incorporated into Stance of the Fierce Tiger. Combat Conditioning has been removed. Its effects have been incorporated into Stance of the Fierce Tiger. Afterlife now always summons a Healing Sphere when an enemy is killed. Glyph of Afterlife has been removed and its effects are now baseline for Afterlife. Storm, Earth, and Fire got buffed to make it smoother to use. It no longer has an energy cost, and is off global cooldown. Also buffed is Fists of Fury, because Blizzard felt that the ability wasn’t giving a strong enough damage boost given its restrictions and impact on the Monk’s rotation. Fists of Fury now deals 100% increased damage, and always deal full damage to the primary target; additional targets are still affected by the damage split. Stance of the Fierce Tiger now causes Rising Sun Kick to cause Mortal Wounds, instead of it causing Mortal Wounds naturally. Blizzard hasn’t been quite happy with Mistweaver Monks and came to realize that a lot more tweaking was needed, but decided to wait till the expansion to do that. Now that it’s on the way there are going to be a few changes to how things work. Regarding “Eminence” healing Vs “Traditional” Healing, Bliz wants to do a better job of keeping the two separate. Having two play styles in one spec (Eminence, and traditional Mistweaving, healing primarily through casting heals) proved challenging to balance, because we don’t want players to take the best parts of both and stack them into an unintended superior spec. The most notorious of these cases was “Jab-Jab-Uplift”. In order to solve this problem, we’re giving Mistweavers two stances. Stance of the Wise Serpent will continue to be the stance from which to do traditional Mistweaving. The new Stance of the Spirited Crane will be the stance to use for Eminence. You can swap stances at will, with only the cost of a GCD and any current Chi that you’ve accrued. The intention is that Crane Stance allows Mistweavers to trade healing for damage; it should fall somewhere in the middle between being a full healer, and being a full damage dealer. We explored a few options, but ultimately landed on changing the core GCD for Mistweavers from 1 second to the standard 1.5 seconds, which you will be able to reduce with Haste. This will feel jarring at first, but we’re confident that it’s for the best, long-term. All abilities available to Mistweavers now have a 1.5-second global cooldown (up from 1 second.) This can be reduced with Haste. 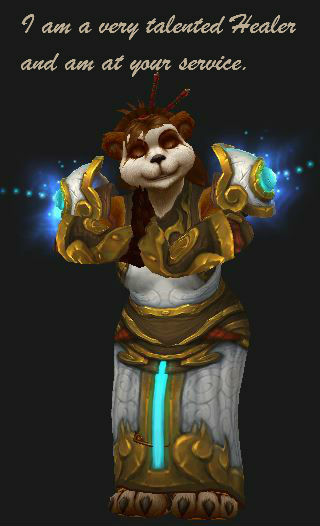 Stance of the Fierce Tiger now reduces the global cooldown of the Mistweaver Monk’s abilities by 0.5 seconds. Stance of the Sturdy Ox (Brewmaster) now reduces the global cooldown of the Mistweaver Monk’s abilities by 0.5 seconds. Stance of the Spirited Crane is a new ability for Mistweaver Monks, which replaces Stance of the Fierce Tiger, and provides the following effects. The Monk gains Eminence, causing all damage dealt to also heal nearby allies. Eminence now causes a nearby target to be healed for 35% of all damage caused by the Monk and includes auto attacks. Stance of the Wise Serpent no longer provides this benefit. Blackout Kicks grants Crane’s Zeal, increasing Critical Strike chance by 20% for 20 seconds. Blackout Kick also causes Eminence to heal 5 allies instead of 1, but heals for only 15% of damage dealt instead of 35%. Mistweaver Monks gains a stack of Vital Mists for every Chi consumed. Vital Mists reduces the cast time and Mana cost of the next Surging Mist by 20% per stack up to a maximum of 5 stacks. Crackling Jade Lightning‘s throughput has been increased by 100%, but it no longer generates Chi for Mistweaver Monks. Additionally, it is free in Stance of the Wise Serpent. Teachings of the Monastery has been removed. Its effects modifying Spinning Crane Kick have been incorporated into Stance of the Wise Serpent. Uplift (Mistweaver) now has a 1.5-second cast time (up from instant cast) and now follows standard area-of-effect capping rules, diminishing in effectiveness beyond 6 targets. Touch of Death is no longer available to Mistweaver Monks. Zen Meditation is no longer available to Mistweaver Monks. Focus and Harmony is a new passive ability for Mistweaver Monks, causing Haste to reduce the global cooldown, and causes Attack Power to be equal to 100% of Spell Power. Stance of the Wise Serpent no longer provides this Spell Power to Attack Power conversion. Detonate Chi is a new spell available to Mistweaver Monks, instantly detonating all Healing Spheres, and causing each of them to heal a nearby ally within 12 yards of the sphere with a 15-second cooldown. Jade Mist is a new passive ability for Mistweaver Monks, causing them to gain 5% more of the Multistrike stat from all sources, and also causes Renewing Mist and Rising Sun Kick to have a chance equal to Multistrike chance to not go on cooldown when used. This effect cannot trigger on the next Renewing Mist or Rising Sun Kick. Rising Sun Kick is now available to Mistweaver Monks, in addition to Windwalkers. However, it does not cause Mortal Wounds for Mistweavers. Stance of the Fierce Tiger now causes Rising Sun Kick to cause Mortal Wounds, instead of it causing Mortal Wounds naturally. Soothing Mist‘s healing has been increased by 100%, its GCD has been reduced to 0.5 seconds, but no longer heals immediately, and no longer generates Chi. Thunder Focus Tea no longer costs Chi, causes the next Renewing Mist to jump up to 4 times (instead of causing the next Uplift to refresh the duration of Renewing Mists on all targets.) Its effect on Surging Mist remains unchanged. The powers the be decided that the Healing Spheres were a bit overpowered, in some ways, so did a bit of tweaking. Naturally there will be a few changes to your talents, in addition to the new ones. With the changes to stats, health, the item squish, and everything else we can probably expect many of them to have at least minor changes. Zen Sphere, level 30, no longer has a target limit. Ring of Peace (level 60) no longer Silences or Disarms enemies. It now incapacitates targets in the area for 3 seconds, or until the target takes damage. The ability now shares Diminishing Returns with all other Mesmerize effects. You can see the new talents for all classes here. Many of the new WoD talents are specific to one or another spec. For example, the first talent will actually be three separate talents. Which one you have access to will depend on your spec. Windwalkers get Hurricane Strike: You unleash a rapid series of kicks to some enemies in the area and become immune to movement impairing and “loss of control” effects for 3 seconds. This sounds like it’s something like the Rogue’s Killing Sp[ree and could be a pretty awesome talent. Windwalker: 1 Chi: damage an enemy; 2 Chi: additional damage as a 6 second DOT; 3 Chi: generate a charge of Tigereye Brew; 4 Chi: The damage hits all nearby enemies. Brewmaster and Windwalkers both get Serenity: 10 seconds of perfect serenity causes all Chi consumptions to be instantly refilled. 10 seconds of awesomeness on a 90 second cooldown. Mistweavers getPath of Mists: Passive. While in combat you leave a trail of healing spheres behind you, 2 yards apart, each lasting 15 seconds. This is a toggle and looks like it could give you an excuse to dance around inside your group in both PvE and PvP. Usually when a new expansion comes out there are a number of new abilities than come with it, in addition to talents, glyphs, etc. This time around the theme is “cleaning up the action bars” so adding a pile of new abilities just isn’t happening. What you’re gong to get instead is a set of Perks. These are enhancements to existing abilities, such as +20% damage or healing. They’re also learned randomly. There are nine perks for each spec, learned at 91 and each level afterwards till 99, and you acquire them randomly until you have the whole set. This means that your level 95 Monk might have entirely different perks than that other level 95 Monk. All that said, there are a couple of new abilities that you’ll be getting at level 90. One of these is a “Readniess” stat, which will reduce the cooldowns of various abilities. Some of the gear that you find will have additional “Readiness” on it in the same way that it has any other stat, such as on this neck item. The cooldowns reduced are for your Fortifying Brew, Transcendence, and Zen Meditation abilities in addition to others particular to your spec. The other new ability adds 5% to your best secondary stat, in line with the new “Stat Attunements” above. Jade Mists provides 5% more Multistrike, plus your Renewing Mist and Rising Sun Kick have a chance equal to your multistrike chance not to go on cooldown when used. Battle Trance – provides 5% more Multistrike. You will gain one perk per level from 92 thorough 98, four total, one every two levels, but which one you get is picked randomly from the list. Enhanced Roll – 25% faster over the same distance. Enhanced Transcendence – 35 seconds lower cooldown and “transfer” is now instant. Improved Breath of Fire – the DOT is always applied. Improved Guard now has two charges. Improved Life Cocoon – 20 second faster cooldown. Improved Renewing Mist – 2 second longer duration. Empowered Chi – Your Chi is increased by 1. Empowered Spinning Crane Kick – damage is dealt twice as fast, but lasts half as long. How About the Glyph Changes for Monks? There are not a whole lot of glyph changes, so far. Naturally a few will be zapped and some will be tweaked, but it’s not like they’re making some kind of wholesale changes. At least not yet. So far there are remarkably few changes. One new thing is that glyphs will now have categories and you can only load one glyph of any given category at any one time. An example is: Glyph of Detox and Glyph of Detoxing. One interesting change that they are making is that some glyphs, for every class, will be automaticlaly learned, rather than boiught from the Auction House. Yes, you will learn them just like you learn your other abilities. They’ll pop into your glyph slots at the appropriate levels, free of charge, though you will still need to install them. Any other glyphs you want will require that you buy, beg, borrow, or steal as you have before. At level 50 you will learn one Glyph: Spinning Crane Kick. Since Spinning Crane Kick will no longer reduce movement speed I expect this glyph to change. Dead Glyphs, at least so far: Afterlife (effects are now incorporated in Afterlife) & Clash. New glyphs, and maybe more are to come? Glyph of Detoxing: Deotx now has two charges and a slight cooldown increase. Other than the changes noted above there aren’t any Monk specific changes coming in the PvP game, but there are a couple of general changes that are of note. Tanks, in general, will take 25% additional damage while engaged in PvP combat. The end goal is to keep their DPS below that of DPS classes (eg: Windwalkers,) but not too low. Also to make them somewhat less tough, but not squishy. So they’ll do less damage and take less damage, have less CC (see above) and, hopefully, be more interesting to play in a PvP situation. Mistweavers will probably appreciate this change: PvP combat no longer reduces the amount of healing received by participants. They might also be interested in: All player-cast healing and absorption effects have been increased by approximately 50% in effectiveness. If they heal or absorb a percentage of maximum health, they are instead reduced by 25%. This covers the fact the Resilience is going away and health pools are changing to compensate for that. Are the above changes good? Bed? Indifferent? Enough to get you to play a Monk, or maybe change to another class? Comment below.